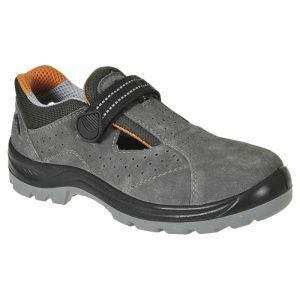 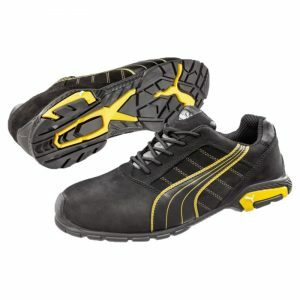 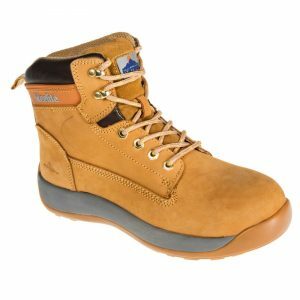 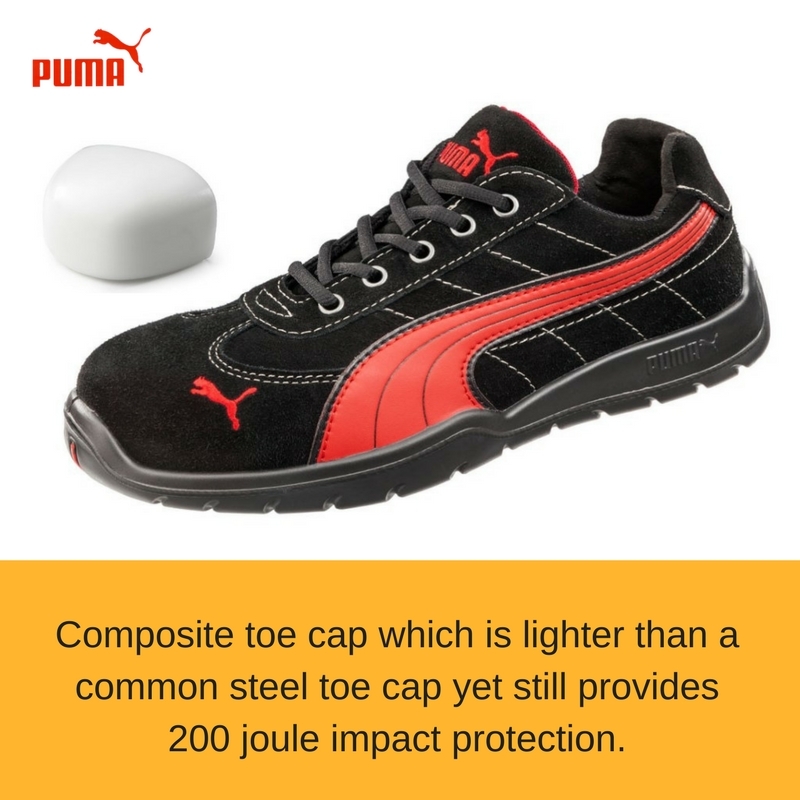 The Puma Silverstone 642637 from the Motorsport range is a stylish functional safety shoe. 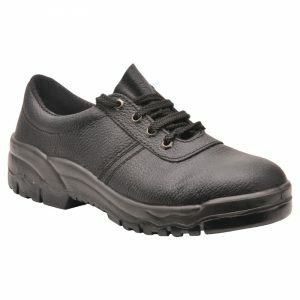 Finished in a suede leather upper, this style has a composite toe-cap and anti-perforation mid-sole. 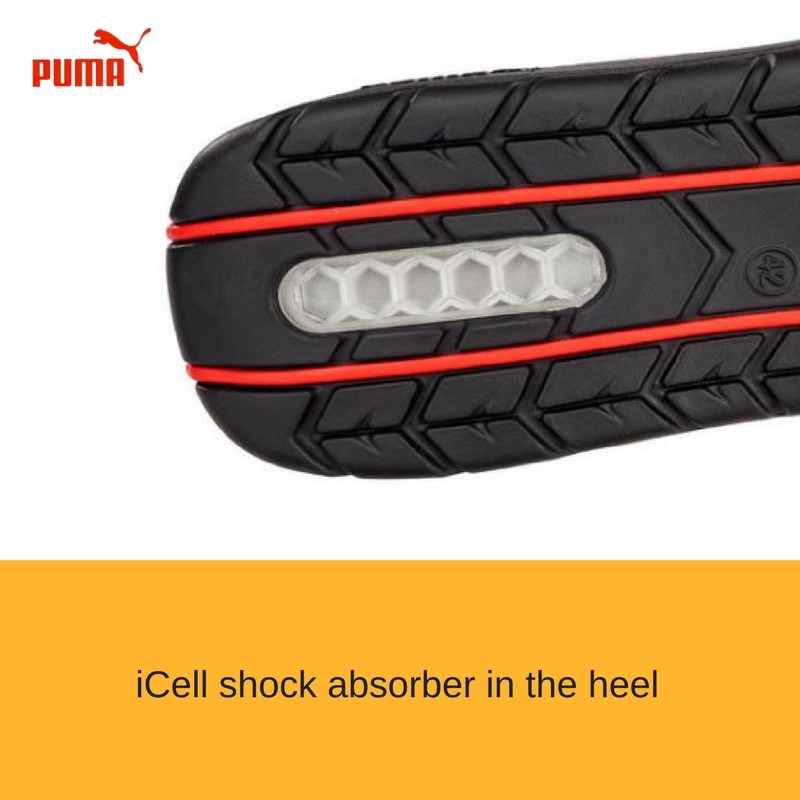 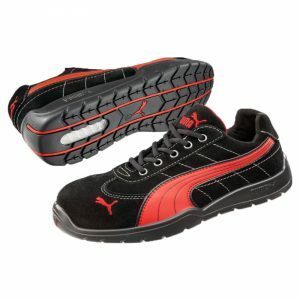 A 300°C heat resistant sole with shock absorbing Puma icell in the heel.